Surrounded by the vineyards and the Alps, the castle of Aigle invites visitors to a customised and unforgettable stay between the plain and mountains. On the road from Lake Geneva to the Alps, a stop at Aigle is simply a must. Its old town full of wine cellars and inns and its medieval castle surrounded by vineyards is the symbol of the local art of living. Aigle cherishes its heritage and lives with its time, for example with its World Cycling Centre. 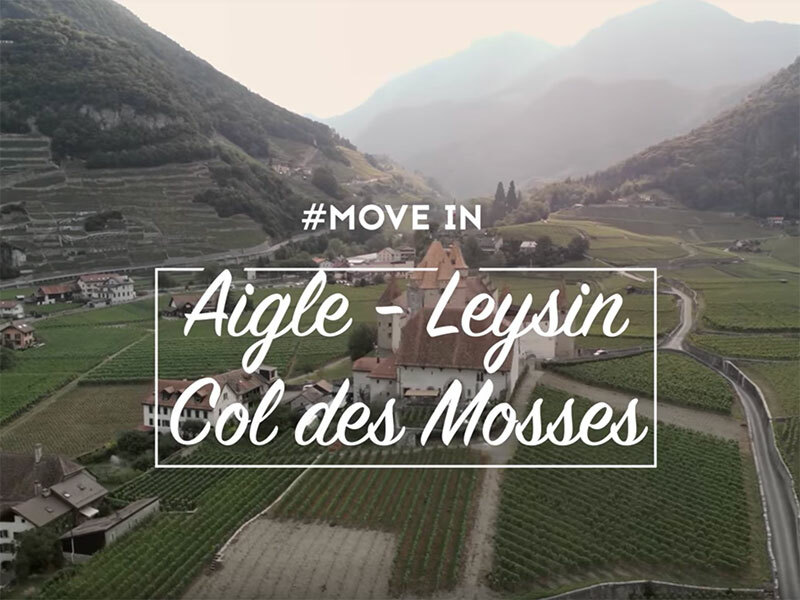 As a gateway to the Alps, Aigle leads to the resorts of Leysin and Les Mosses. There are no more medieval lords here, but one lady only: nature. It invites sports fans to spend their energy, whatever the discipline and season. On offer: hiking, biking, biathlon, cross-country skiing, snowtubing and, above all, skiing on the sunny slopes below the Kuklos, the revolving panoramic restaurant. Whatever the season, there are some activities that simply have to be ticked off the list when you are in the region of Aigle, Leysin and Col des Mosses. The region of Aigle is proud of its excellent wines, which can be enjoyed from the plain to the summits in a revolving panoramic restaurant. Aigle, Yvorne, Ollon: these towns and villages have become guarantors of quality for all wine fans. Various varietals bearing the Chablais AOC denomination delight visitors’ palates, especially “King Chasselas”, a delicious dry white wine. 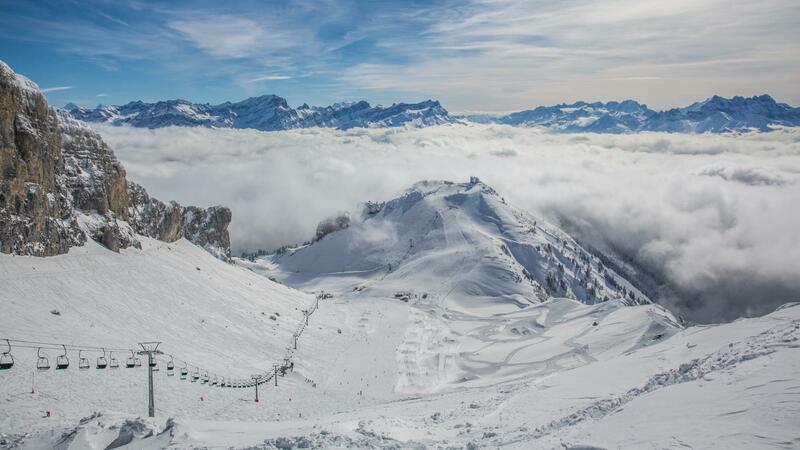 It can be enjoyed in traditional or more contemporary inns offering a view of the mountains, such as Kuklos, the revolving panoramic restaurant in Leysin. 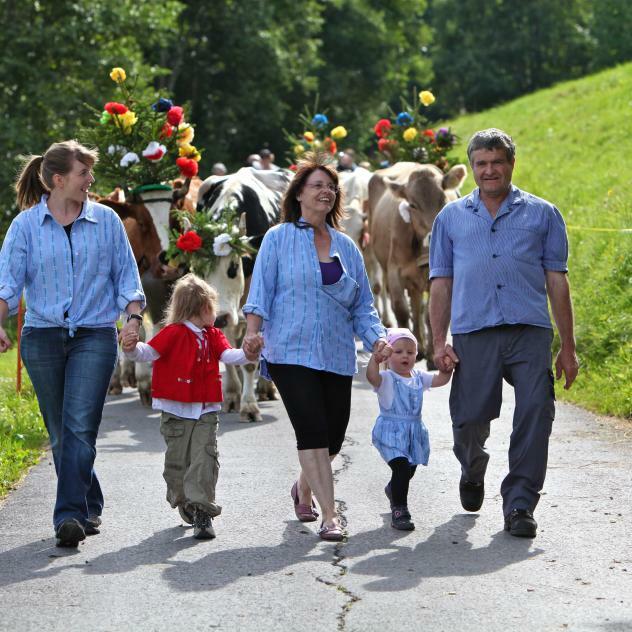 There’s no need to drink it to appreciate the grape: a fun walk on the winegrowers’ path attracts the whole family. Shaped by mountains, forests and mountain lakes, the natural setting is ideal for contemplation and sports activities. Walk along a mountain lake, get to the summits or take a stroll in a garden featuring Alpine plants: hikers are spoilt for choice in the magical landscapes of Leysin-Les Mosses-La Lécherette. The more adventurous-minded climb a via ferrata or have fun in a treetop adventure park. Cycling fans and professionals appreciate the town of Aigle above all for its World Cycling Centre. Many marked trails or mountain routes can be explored throughout the region. Leysin is reputed for its celebrations and music festivals, but sports events are also on the increase. A whole generation of festivalgoers has wonderful memories of the rock anthology concerts in Leysin. Several years later, rock was replaced by electro music, but the festive spirit prevails. During the Worldwide Festival, the rhythm and the shouts of joy fill the bars on the slopes and in the resort. Amateur and professional sports competitions always attract crowds. In winter people are delighted to watch cross-country skiing or dog sledding competitions. In summer, works of art take to the mountains to be exhibited. Revolving restaurant, velodrome, medieval castle: Surprise your guests with original and modern offers for business tourism and incentive trips. Accessible by car (motorway A9) and by train from Geneva Airport, the destination of Aigle-Leysin-Les Mosses attracts groups and businesses with its large-capacity infrastructure in original sites. Seminars and conferences are held in inspiring sites such as the World Cycling Centre, the castle of Aigle or the revolving restaurant Kuklos - unique in French-speaking Switzerland - at the summit of the Berneuse (2,048 m). Better a flash visit than a missed opportunity! Thanks to our suggestions, the region of Aigle-Leysin-Les Mosses adapts to your full agenda. For modern walkers who are into original, interactive and fun visits, the winetouristic stroll with a smartphone in the vineyards of the Chablais AOC is ideal. Feel like seeing other natural wonders of the Vaudois Alps? Our selection of exceptional panoramas will leave you with more than an eyeful! Or check out our vast choice of family activities!